"My profession was robbing banks, knocking off payrolls, and kidnapping rich men. I was good at it. Maybe the best in North America for five years from 1931-1936." So wrote Alvin Karpis in his autobiography, "The Alvin Karpis Story," published in 1971 when Karpis was 65 years old and newly released from prison, having been inside since 1936. Of Karpis, J. Edgar Hoover, in the book "The FBI in Action," admitted to his cunning.
" ... Alvin Karpis and his cronies, constituted the toughest gang of hoodlums the FBI ever has been called upon to eliminate ... Looking over the record of these criminals, I was repeatedly impressed by the cruelty of their depredations ... murder ....bank robbery ... kidnapping and extortion ... train robbery ... mail robbery ... the protection of high police officials bought with tainted money ... paroles bought." For Karpis, however, it was all just in a day’s work .... and in his autobiography he said he had the time of his life, and he would do it all again. Karpis was born Francis Albin Karpowicz, Aug. 10, 1907, in Montreal, to Lithuanian immigrants, but was raised in Wichita, Kan. An elementary school teacher changed his name to Alvin Karpis because it was easier to pronounce, and he kept the name the rest of his life. He began his criminal career at the age of 10, running errands for petty gamblers, pimps and bootleggers in the Wichita area. In 1926, he was sentenced to 10 years at the State Industrial Reformatory, from which he escaped and went on a year-long crime spree. He eventually moved to Kansas City, Mo., where he was arrested for stealing a car. He was returned to the reformatory to finish his original sentence, but as an adult, was transferred to the Kansas State Penitentiary in Lansing. There he met Fred Barker, who was in prison for bank burglary. Barker was one of the "Bloody Barkers," as the newspapers of the time called them. 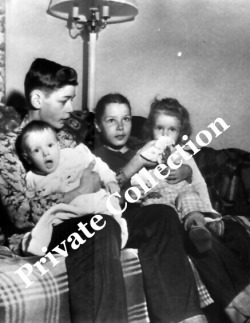 The Barker family included brothers Herman, Lloyd, Arthur, or "Doc," and Fred, the sons Arizona Kate "Ma" Barker. They were a family of semi-literate thieves and murdering nomads who were hardened criminals from an early age. In addition to Fred being in jail, Doc had been sentenced to life imprisonment in 1920 after murdering a night watchman. Herman committed suicide on Aug. 29, 1927, after being badly injured in a shootout with police in Wichita following a robbery. In 1922, Lloyd was sentenced to 25 years for mail theft, and released in 1938. He was a U.S. Army cook at a POW camp during World War II before he was shot to death by his wife in 1947 as he walked in the front door of their home. 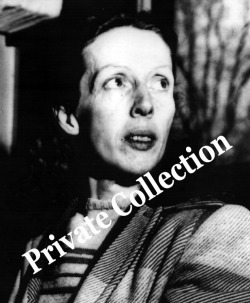 "Ma" Barker herself was not a criminal (despite Hoover’s later claims), but she did appear to love her sons, and she routinely badgered parole boards, wardens, and governors for the release of her boys whenever they were incarcerated. 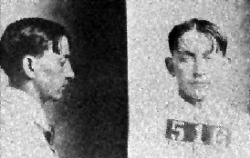 Fred Barker, 30, was released in 1931, and when Karpis, 23, was released a few months later, he joined Barker, in Tulsa, Okla., and they formed the Barker-Karpis gang. It would soon grow to become the most formidable gang of the Golden Age of Bank Robbery. At first, there were nighttime burglaries of various shops and stores, but with the release of Doc Barker in 1932, they they moved into daylight bank robberies. The participants were almost always the two Barkers and Karpis. Then, depending on requirements of the robbery, various participants would be brought in. It was a pattern that would serve them well. Not only were there multiple crimes across many states, but with an ever-changing gang all using numerous aliases, even police informants couldn’t keep track of all the offenders and their various names. On some occasions, gang members would use the same alias simultaneously in different locations, thus causing confusion when police sorted through witnesses descriptions.